Pirelli has been officially announced as the manufacturers of the ‘control tyres’ for the Superbike World Championship in 2004 and 2005. The tyre firm will supply rubber for all the teams in the three championship series; Superbike, Supersport and Superstock. Each team will still be able to choose between different types of tyre, ranging from soft to hard and slicks to wets, but they will all be produced by the Italian firm. The claimed advantages for the series are uniform quality and cost for all teams, in addition to a Pirelli prize fund. But the new rules have not pleased all the teams. Those currently sponsored by the company include the DFX Ducati team and Ten Kate Honda. The future of the DFX team is in doubt as they will lose the Pirelli cash. Honda claims the package for its four officially-backed supersport squads is around £440,000, with Ten Kate getting around half of that. And the Yamaha Belgarda and Kawasaki also get a quarter of their support for World Supersport from the tyre manufacturers. The rules remove the incentive for any of the rival rubber firms to replace Pirelli.
" 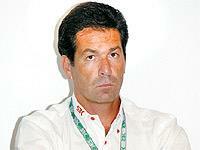 I had planned to move into WSB with Honda, " said Ten Kate team boss Gerrit Ten Kate. " But now Flammini has taken my title sponsor I no longer have the money to race. " And the last remaining Japanese works team has threatened to leave WSB due to the new rules. You can find out exactly why there could be " no Suzuki, no Alstare and no Corona in WSB next year, " in MCN, July 30. The new tyre rule also mean there is a problem for wildcards, as teams in domestic championships running on Michelins or Dunlops will not be able to break their contracts to switch to Pirellis for one or two rounds, and more could face conflicts of interest with sponsors. The aim is that the WSB field will be too big to take any wildcards into the races, but it could seriously affect the level of supports for the series. To find out more about the new tyre rules and what they mean, see MCN, July 30. Discuss the future of the series on the World Superbike discussion board by following the link on the right.